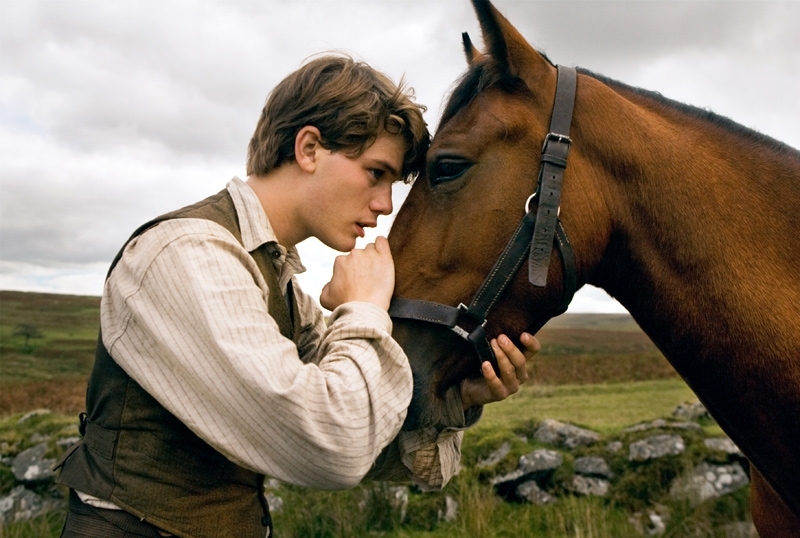 When “War Horse” came out last year I was a little hesitant, even though it is a Speilberg film. Especially when my parents continually urged me to watch it during the holidays last year, I was reluctant to pay $12 to see it. Films my parents tend to get real excited about are more often than not, good clean films with resolve (with the exception of “Message in a Bottle” and “Gladiator” and maybe a few others I’ll leave unmentioned.) If it’s a movie my parents bring my grandparents to, one can pretty much guarentee it will be rather, and I say this respectively, safe. Renting it this weekend was somewhat of a last resort, since every other movie in Red Box looked so shady they will no doubt be on NetFlix by next week for me to peruse. So “War Horse” it was. To my assumption the film was safe, capturing real life difficulty with fragility while still presenting the common struggle of survival. This seamless story, that is like stepping into a lengthy panoramic shot of another world, where everything is green and full of vitality, makes the time to bring all to life. You may find yourself resisting this sentimental pageant of early-20th-century rural English life, replete with verdant fields, muddy tweeds and damp turnips, but my strong advice is to surrender. Allow your sped-up, modern, movie-going metabolism, accelerated by a diet of frantic digital confections — to calm down a bit. Suppress your instinctive impatience, quiet the snarky voice in your head and allow yourself to recall, or perhaps to discover, the deep pleasures of sincerity. While War Horse does not make my best films of all time list, and I’m still anticipating “Argo” or “Skyfall” and several others as for my Fall film fixation, watching War Horse was an opportunity to give my brain a break, and let my heart rest and simply soak up a beautiful story.